eCommerce owners have great news ahead, as launching their E-Commerce store with Magento is really a good choice. Magento Commerce is a growing domain nowadays. The platform accounts are used as E-Commerce sites by around 100,000 visitors, which is about 32% of the web portals existing across the global World Wide Web. Prior to investing in Magento E-Commerce, business enterprises should be aware of the difference between options provided by the platform. Originally called as Magento Commerce, it has two variants: Magento Enterprise and Magento enterprise cloud. Magento commerce is a latest and premium version of Magento open-source and also includes cloud sourcing. Originally called as Magento Community. This is the free version that can be downloaded and customized for building online web stores. This open source platform will help the developers and users extend the platform as per the needs. Open-source users will be able to download themes and extensions to add the needed features and functionality to the web portals. Magento Commerce is the premium version of Magento Development solutions, with a price that starts from $2000 monthly. The fees of development may increase according to the Magento development company’s Gross Merchandise Value (GMV), that it will cross the $1 million. This Platform again offers immense functionality including reward points, advanced marketing features, and targeted promotions. The client also gets 24*7 supports from the tech experts to help the client if he/ she gets stuck with the developmental of online stores. Shop owners can choose between on-premise and cloud-hosted solutions, on the other hand, creating an E-Commerce store with Magento Commerce Solutions. Cloud-hosted solutions carry a heavy-duty price tag and may help the client to enjoy the benefits of an E-Commerce. Magento Commerce has a few drawbacks. As a result, enterprises should consider all the pros and cons of Magento Development Solutions. Here are some of the points and factors, the client should consider before opting for Magento for an enterprise commercial platform. You have to be aware of the additional costs to pay for the Magento store. 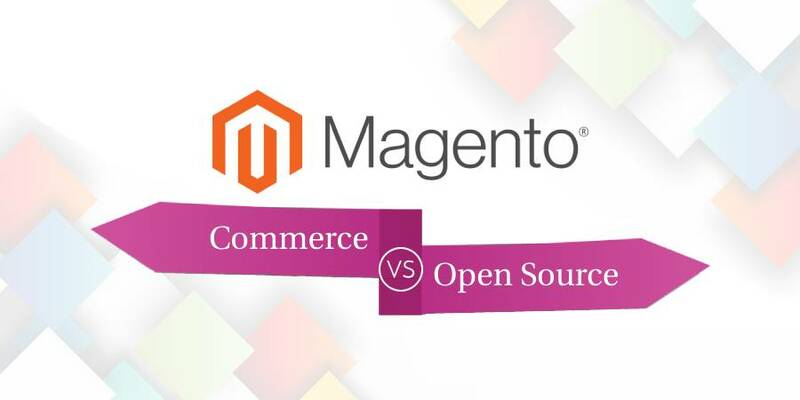 Even if one chooses Magento Open-source, he may search for developers for updates, developments, and integration of the web portal at regular intervals. Magento comes with great flexibility to the users and developers. Carrying a highly-customized back-end may not be an easy job to manage. As more and more IOT devices surface, merchants may look for selling the products on the newest channels. The client needs a good online platform for delivering products, contents, and assets. It is always judicious to choose the most reputed and reliable Magento Development Company that can leverage these benefits of the platform thus helping you build a strong enterprise eCommerce solution!